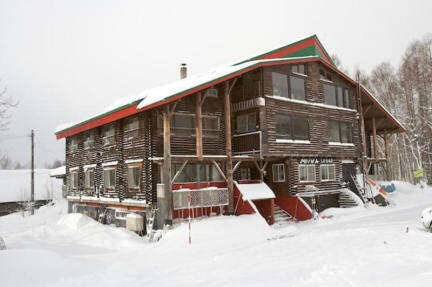 Moiwa Lodge is a traditional large Japanese ski lodge, with a terrific slopeside location in Niseko. There are 4 stories of facilities, including: restaurant, ski room, drying room, TV's and DVD, pool table, large comfy communal areas, wireless internet throughout, traditional Japanese bar, and games area. There is plenty of space to relax, hang out and unwind at the end of a hard day on the hill. The lodge is slopeside at Moiwa, the Niseko locals' favourite resort, where the powder stays long after the rest of the Niseko area. 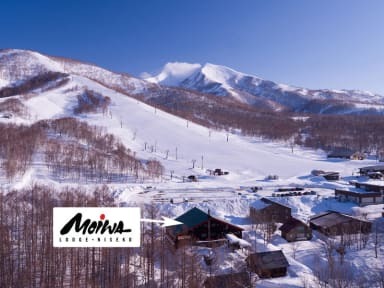 Moiwa allows you the best of both worlds - your own quiet resort outside your front door, and the greater Niseko United resort 3 minutes away via our free shuttle service. 4 styles of room are offered, including dorms, twin/triple rooms, family rooms and 2 self-contained cottages. You don’t even feel like you are staying in a hostel. The area, and facilities are Amazing. The staff is overly accommodating and at all hours are there to help you. The only place I will stay next time I go to niesko. Great staff - Kira especially but Anna and James too. Awesome location. Warm atmosphere. Good everything, coffee was excellent, its far from almost all restaurants, but all those restaurants deliver or pick you up so It was just fine. Cool vibe classic log cabin feeling, with views out to the Moiwa slopes from the dining room. All in all cool place to go for a couple days. A bit expensive to stay but I felt well taken care of so cant complain. Awesome place,just need to run more shuttles too town. Great location in Moiwa, friendly and helpful staff, very clean and adequate facilities. Wonderful place to stay, make new friends, and enjoy the snow. The staff is absolutely amazing, friendly and extremely helpful. One of the best hostel experiences, highly recommend. Moiwa Lodge is a short way outside the main bustle of the other Major Niseko resorts, with shuttle buses running daily to take you to and from the other fields. The staff and other travellers really make the experience what it is. Tom was an awesome host - super friendly and accommodating and really made everyone feel welcome, playing an active part in the social aspect of the hostel. The complementary Breakfast was amazing. Great value for the price! !